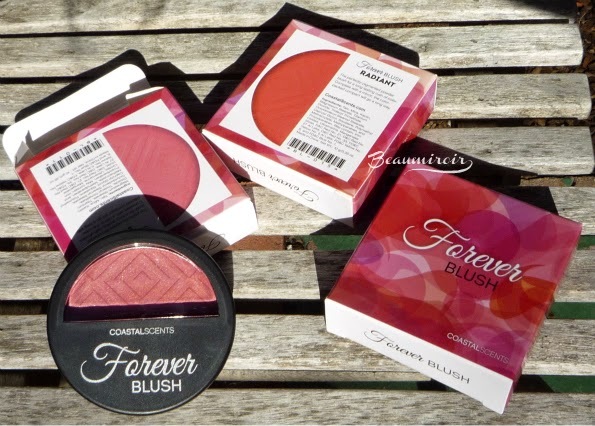 Coastal Scents Forever Blush: more pigment than you'll ever need! I realize that I'm on a blush series these days... After MAC and Clarins, we'll talk of a budget beauty brand today, Coastal Scents. The brand is US-based but has their products manufactured in China, which allows them to sell everything at a ridiculously low price (even more so when they have sitewide sales, which seem to be fairly frequent). The Forever Blush comes in 18 shades and has a price tag of $7.95. I bought 3: Radiant, an matte orangey red, because I have been eyeing Nars Exhibit A for years; Lovely, a true coral with subtle shimmer; Enchanting, a cool bubble-gum matte pink. All 3 are very bright and vibrant colors, and I like the "viewing window" on the top of the black compact which makes it easy to find the shade I'm looking for. The pigmentation level is off the charts. It's like, you barely touch them, and you have enough for 5 cheeks... I have never seen such pigmented blush, not even from Nars or MAC. 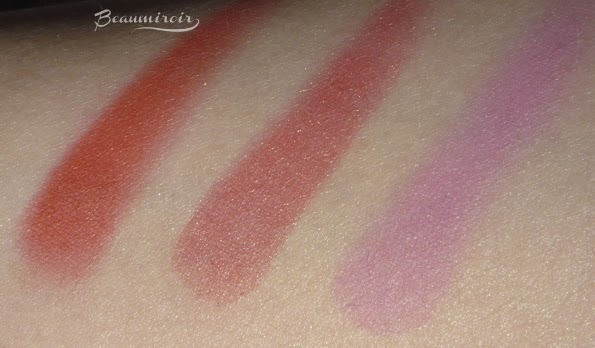 The swatches down here are done with one swipe of my finger on the blush, then one swipe on my arm. 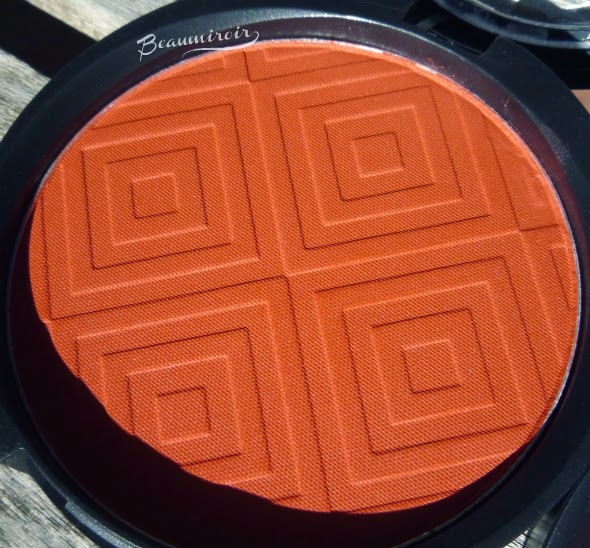 In terms of color intensity, this is like the antithesis of MAC Ripe Peach that I reviewed a couple weeks ago. The big advantage of this extreme pigmentation is that you get true-to-pan color on your cheeks very, very easily. The downside is that it's just as easy to overdo. Even using a super soft brush and a feathery touch, you get way too much blush for a single application. The key is to have the lightest hand and to blend, blend, and blend again. Unfortunately blending isn't even that easy, since the product tends to stick to the area on my skin that my brush first touched, even on top of powder foundation. 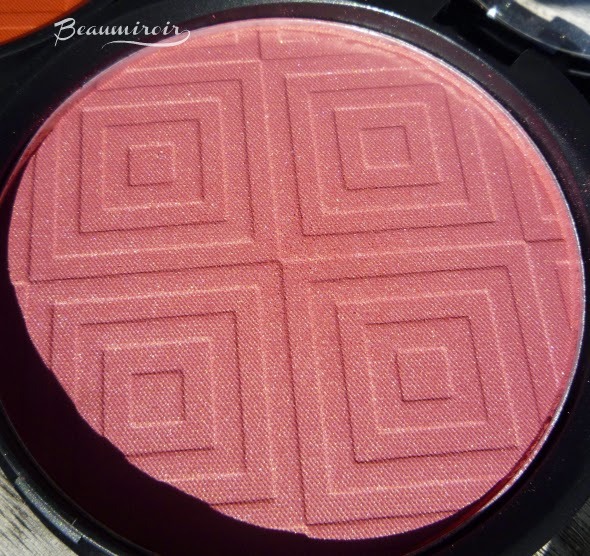 It ends up being a lot of work to make this blush wearable, and that's true of all 3 shades I have. Their texture is a bit powdery, especially for Lovely, the only shimmer I own. They don't look powdery on the skin though. The wear time is excellent! I tested Radiant on a windy day spent on the beach, and it was still all there at the end of the afternoon. I'm lazy. I don't like to give my wrist a workout because a blush decided to be crazy bright. The only reason I put up with it is that once blended to death, they turn out to look really pretty on me! 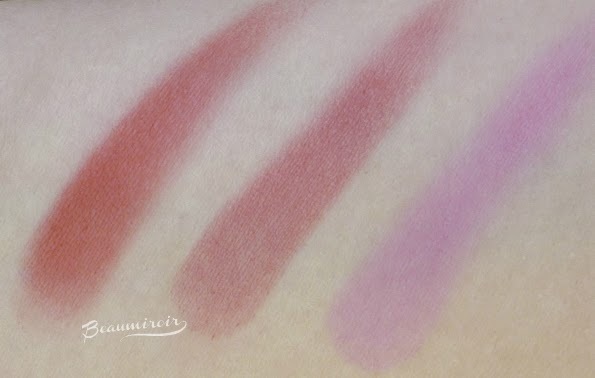 After blending, Radiant and Lovely end up looking very similar on my skin (the shimmer in Lovely is so subtle that it basically looks matte on me). Both shades give me a very fresh, healthy look if used on medium to high coverage foundation - it just doesn't look good if I have any visible redness on my face. Lovely isn't really my kind of shade, I knew when I ordered it, but I wanted to step out of my comfort zone. I'm still not convinced that cool pinks can work for me. 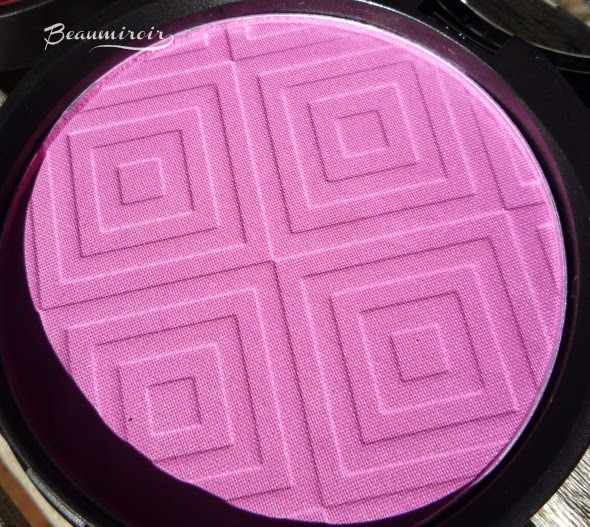 Overall: Coastal Scents Forever Blush is an insanely pigmented formula with exceptional color payoff. It requires a lot of blending to look good on my light skin tone. 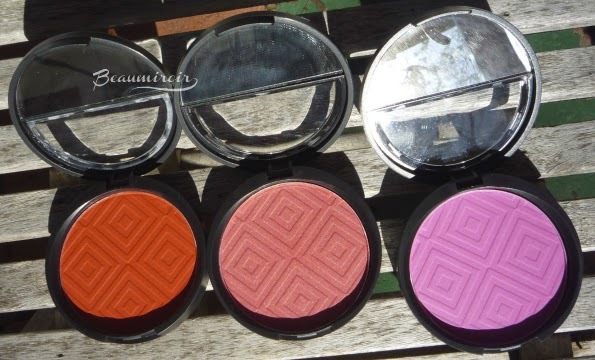 These blushes will work wonders for anyone who prefers highly pigmented, bold makeup. If you prefer your blush on the subtle side, you might want to look for something less intense, or be prepared to spend a good amount of time working on it. On the other hand, if you have a deeper skin tone and feel like many blush formulas don't give you true-to-pan color, you might want to give them a try. The product featured in this review was purchased by Lulle. I received no compensation to write this post, which only reflects my personal opinion. This post may contain affiliate links.